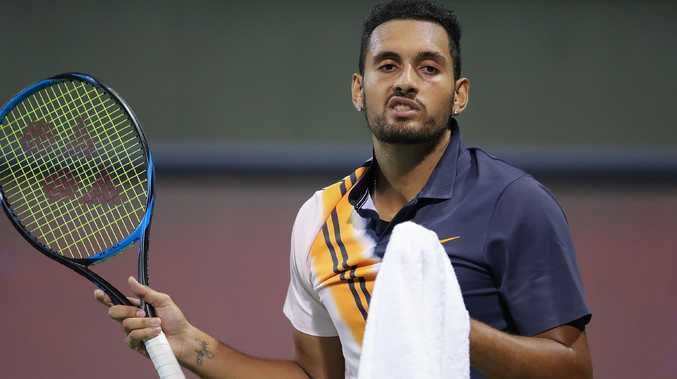 Nick Kyrgios at the Shanghai Masters. AUSTRALIA'S Nick Kyrgios has decided to call it quits on his tennis season after a recurring elbow injury forced him out of the Kremlin Cup in Moscow. Kyrgios says it's a recurrence of an injury which caused him to miss several tournaments this season including the French Open. "I'm going to choose to wrap up my season, head home and start the recovery," the Australian said on Thursday. "See you all in 2019." Later that month, the Australian also pushed Marin Cilic to two tiebreakers before the Croatian ace could progress to the Queen's Club Championship decider.